Want to learn about Submission and Document Migration and the new challenges for established solutions? – Visit LORENZlink 2018 in April! When eCTD was introduced more than a decade ago, the implementation of a new Submission Management Solution (SMS) was primarily a technical challenge and an adventure. Tool vendors were focused on creating submissions using documents from Document Management Solution(s) (DMS) and then publishing eCTD sequences compliant with agency specifications. From a process perspective, this was a new clean step without technical connections to the legacy – either paper or electronic submission of other formats. Project work on legacy submission migration was not needed. This entry was posted in Industry-specific Topics, LORENZlink News and tagged conference, e-Regulatory Affairs, Migration, RIM on March 6, 2018 by llsmarketing. userBridge.17 in Nice, France from 19-21 September 2017: Save the date and register now! Our annual community conference LORENZ userBridge is well-known for showcasing the very latest thinking from the world of regulatory affairs, with high-level speakers recruited to give a wide range of expert perspectives from industry, agencies and consultants. A variety of agency and industry players will be sharing their experiences at userBridge.17. Please see the preliminary agenda for more details. We look forward to welcoming you to Nice! This entry was posted in userBridge News and tagged conference, e-Regulatory Affairs on June 16, 2017 by llsmarketing. Join us at LORENZ userBridge.16 in Hamburg, Germany! LORENZ userBridge, our annual LORENZ community conference, is one of the most educational events in e-regulatory affairs globally, bringing together both industry and agency perspectives in one gathering. Would you like to get a vivid impression of our conference? Watch the LORENZ userBridge Video! This entry was posted in userBridge News and tagged conference, e-Regulatory Affairs on July 4, 2016 by llsmarketing. Want to learn about new US Module 1 specifications? – Visit LORENZlink 2016 in April! This entry was posted in Industry-specific Topics, LORENZlink News and tagged conference, e-Regulatory Affairs, eCTD, FDA, Module 1, RIM on February 25, 2016 by llsmarketing. LORENZ userBridge.15 – See you in Vienna! 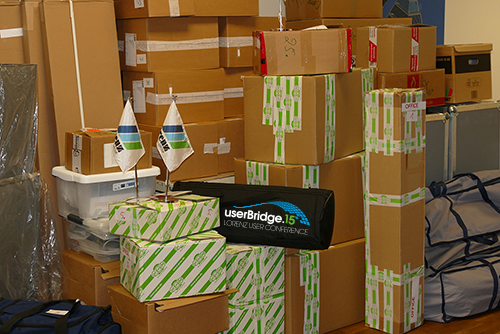 We’re looking forward to seeing you in Vienna next week at userBridge.15. The conference is completely sold out. The team here has packed up all our material and is ready for the trip to Austria. All conference participants can look forward to three days of learning, discussion and interacting with people from industry and agencies. We wish you an interesting, successful and simply great userBridge.15! This entry was posted in userBridge News and tagged conference, e-Regulatory Affairs on September 11, 2015 by llsmarketing. LORENZ userBridge.15 – Registration is open! From now on you can register for LORENZ userBridge.15! This entry was posted in userBridge News and tagged conference, e-Regulatory Affairs on March 17, 2015 by llsmarketing.